On 27th June 2017 the House of Lords debated the measures in the Queen’s Speech for justice and home affairs. 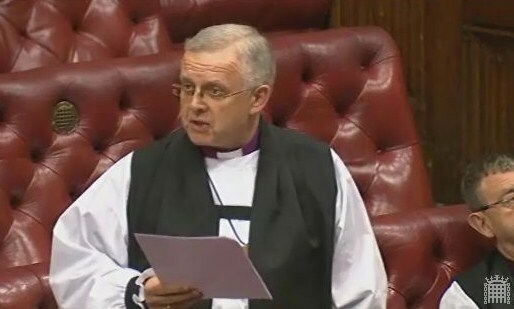 The Bishop of Bristol, Rt Revd Mike Hill, spoke in the debate, on mental health, domestic violence and prisons. The Lord Bishop of Bristol: My Lords, I welcome the opportunity to contribute to this important debate on the gracious Speech. I thank the noble Lords who have spoken thus far in what has been an interesting debate today. 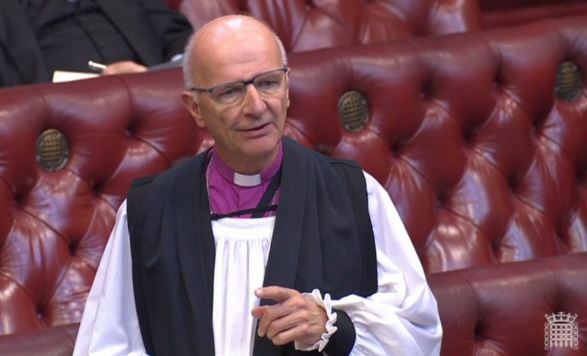 On 18th March 2015 the Bishop of Rochester, Rt Rev James Langstaff, asked a question in the House of Lords on the Government’s response to a report on access to justice. He followed it with a supplementary question to the Minister. Those exchanges, along with a transcript of all subsequent questions on the same by Peers, are below. T he Lord Bishop of Rochester: To ask Her Majesty’s Government what steps they plan to take in response to the recommendations of the recently published Theos report Speaking Up. On 10th February 2015, the Bishop of St Albans, the Rt Revd Alan Smith, received an answer to a written question on the subject of support for vulnerable defendants in the criminal justice system. 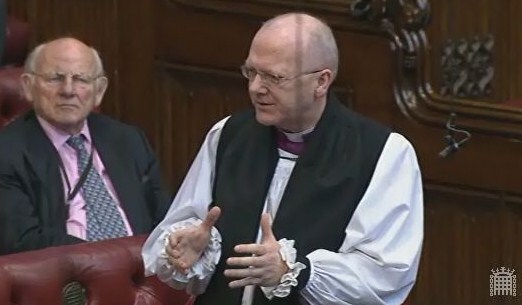 The Lord Bishop of St Albans: To ask Her Majesty’s Government what plans they have to ensure that support is made available for vulnerable defendants by registered intermediaries in the criminal justice system, as currently is the case for vulnerable witnesses. The Lord Bishop of Rochester: My Lords, tomorrow morning the Prison Reform Trust will publish the latest edition of its well regarded Bromley Briefings Prison Factfile. Among other things that will show the continuing correlation between exclusion from school, being brought up in care and offending behaviour. In the light of this and of other responses already given, can the Minister give an assurance that the Troubled Families programme is being well co-ordinated with the Ministry of Justice’s young offenders policy? Lord Ahmad of Wimbledon: I can give the right reverend Prelate that assurance. Indeed, in a previous incarnation when I was the Whip for the justice department, I saw the importance of many rehabilitation programmes directly through visits programmes. He raises an important part of the mix that defines troubled families. As he is well aware, one of the key elements is youth crime and targeting youth crime and anti-social behaviour. Again, what we are seeing, for the first time I believe, is not just departments working together, but people at a local level working well together to ensure that all people involved, whether in youth crime, those involved in not attending school, as my noble friend said, or those who are not in employment, get sustainable solutions for the long term. 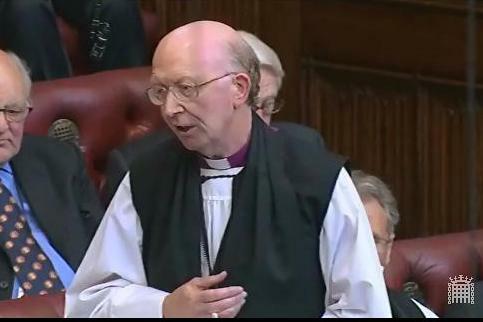 On 30th June 2014, the Bishop of Oxford, the Rt Revd John Pritchard, took part in the Second Reading debate on the Government’s Criminal Justice and Courts Bill. During his speech, he focused on two particular areas of concern – the proper care of troubled children and the role of ‘secure colleges’ and the need for a fair and effective system of judicial review and legal aid to be available to all, regardless of their material situation. Baroness Gardner of Parkes asked Her Majesty’s Government how many offenders received multiple cautions in the past year; and what plans they have to review the guidance to the police on the use of cautions for serious crimes. 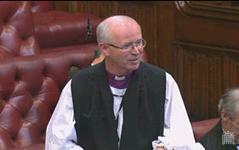 The Lord Bishop of Peterborough: My Lords, the Minister mentioned restorative justice. Does he agree that, alongside limited use of cautions, a greater use of restorative justice interventions could be of great help, both in reducing reoffending and in supporting victims? Lord Faulks: My Lords, I agree with the right reverent Prelate. There is a great case for restorative justice in appropriate cases, and it is indeed an option for it to be part of the conditional caution. There is increasing approval in this House and outside of its use.